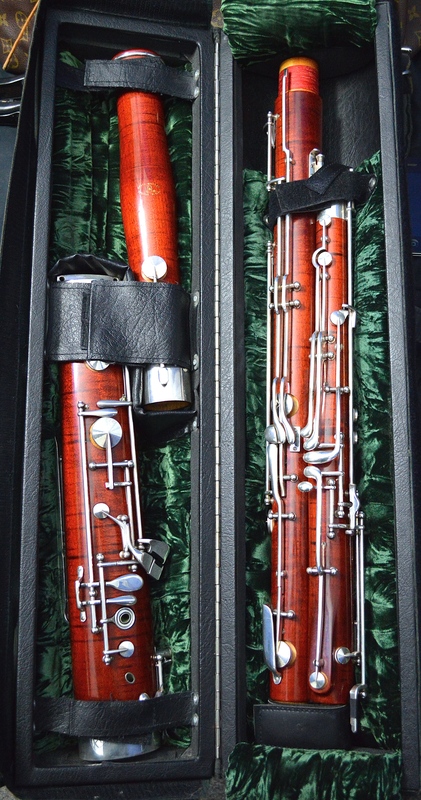 I bought a Wiseman bassoon case three years ago to replace my Fox bassoon case. My Fox professional case was such a hassle to commute with and walk around San Francisco with that I had to buy a replacement. The Wiseman case appealed to me on an esthetic level with the crushed velvet interior and the leather exterior. I have gotten so many compliments about this case since I’ve been using it, most people just don’t believe that a whole bassoon fits inside! My concern was that that the materials wouldn’t hold up for a few years. The case is made from wood, dense foam, crushed velvet, leather and velcro. For the most part it has all held up well, with the exception of the velcro on the handle. The Velcro that lines the edge of the case is doing fine after 3 years of continuous use, but the handles are falling apart. After ripping off the first time I took heavy load thread and reattached the strips. It is falling apart again after about a year. This time around Im going to use a set of snaps. All in all a great case, they have recently launched carbon fiber cases and a bassoon/contrabassoon combination case. I was delighted to stumble across your review of the Wiseman Case that we make!! I am delighted that it is serving you so well. I noted the problems that you have had with the Velcro on the handle. I apologise for this. 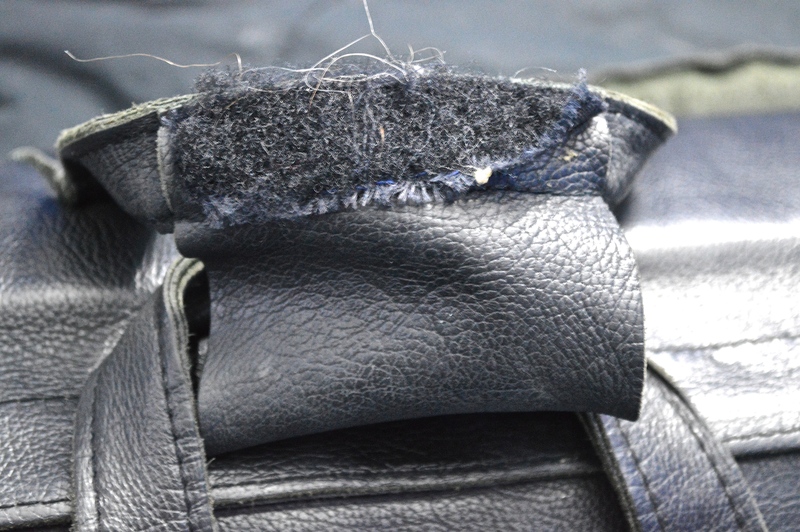 We have spotted this from overhauls that we have done over the years and have taken to sewing the Velcro on with a different pattern that keeps it from failing any more ( it was not failing often – but our cases do carry a lifetime guarantee and we want these details to be as effective and as long-lasting as the rest of the case). However, on all our carbon cases, we actually make a slightly padded leather wrap-around which closes with two heavy duty poppers. Would you like me to make such a wrap-around for you?? You could easily get a shoe-repairer to see this into place instead of the wrap around presently on your case?? I would be happy to pay for the cobbler’s cost!! Again, I was delighted to see your review and am very grateful that you have chosen a Wiseman case. If you are ever tempted by our carbon fibre case, then please let my colleagues know that I would happily give you a 10% discount.